If you've recently started blogging (or if you're wondering how to start a travel blog), one of the best places to begin is in your own hometown! When you share helpful tips about your city, you'll develop true fans who trust your advice and eagerly return for more. Once you develop that fan base, you can then branch out and begin exploring further from home to share your experiences with the world! If you find these travel post idea starters helpful, please share this image on Pinterest. One of the biggest challenges I hear from new bloggers is that they have no clue what to write about. With that in mind, I challenged myself to come up with enough post ideas to keep new travel bloggers busy for a good long time! I've also included a few tips at the end to help you brainstorm additional topics. You've probably already got the inside scoop on all the hot spots, local hangouts, and hidden gems in your own hometown, which makes it the perfect starting point for a travel blog! 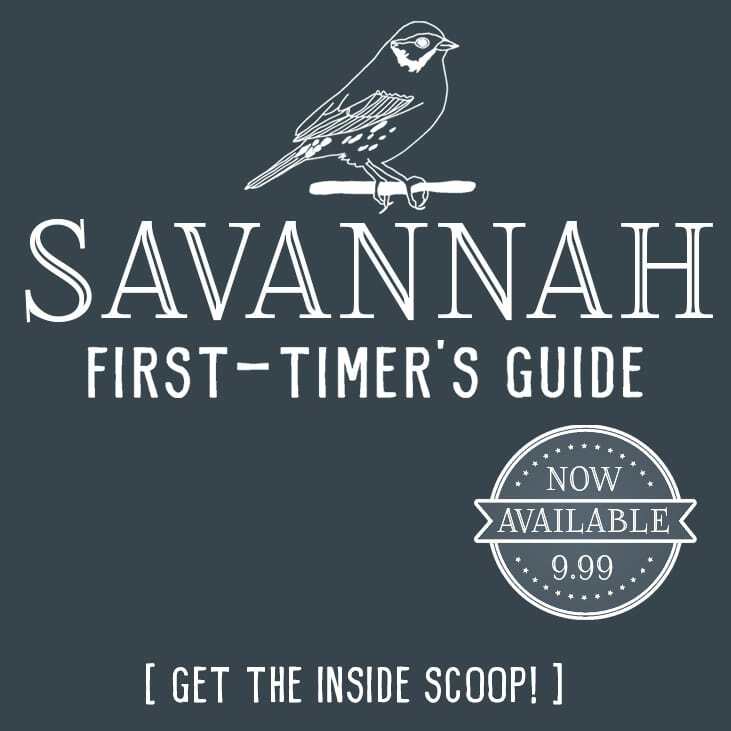 NOTE: I've structured all of the titles around Savannah (where I live), so just insert the city you're writing about in place of Savannah! People always need to know where to stay when visiting a new city, so be helpful and provide the scoop for them! What's the one thing travelers enjoy most while on vacation? Dining out! They love to try new restaurants (and bars), so food guides get TONS of clicks. The next question tourists usually ask when visiting a new city is “What should I do while I'm there?”, so be sure to include a comprehensive list to guide them around town. “How To” guides allow you to dig deep into one specific area of a city to provide helpful insight for newbie travelers. Plus, Google likes “How To” guides because many people structure their Google searches in the form of that question. Top 10 lists are easy to write, so I recommend using them as content during times when you're too busy to write a more in-depth post. You can simply write one or two sentences and include a photo about each point on your list. Since families tend to travel during times when they're off work, many trips coincide with the holidays. Try structuring your posts around things to do during a particular holiday as a benefit to your readers. 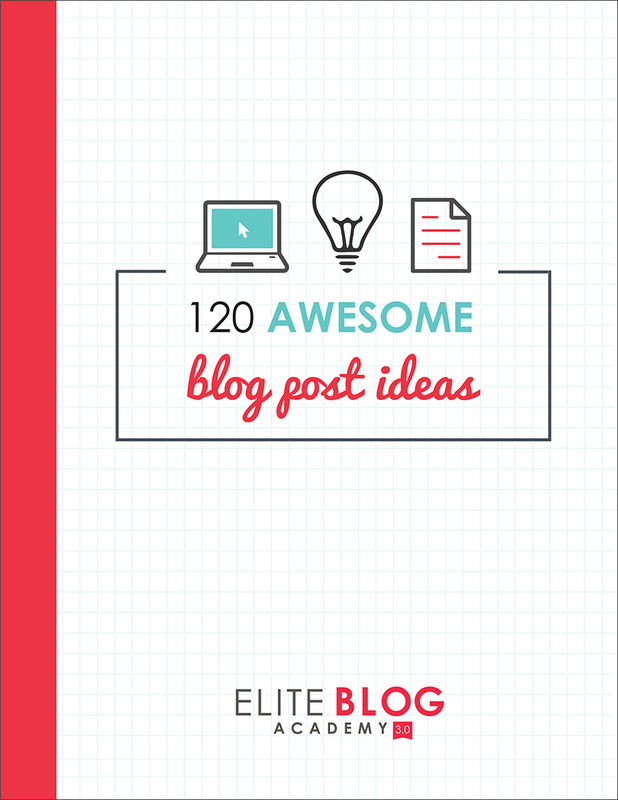 Download this FREE list of 120 Awesome Blog Post Ideas from Elite Blog Academy. With it — plus the ideas listed above — your editorial calendar will be filled in no time! I hope you found this list helpful! If so, please share it on Pinterest so others can benefit as well. Which one of those titles above would you be most likely to click on and read? Let me know in the comments below, and I'll write it! If you haven't yet started a travel blog and would like to, you probably know by now that the only blogging course I recommend is Elite Blog Academy. It's the class that has produced the highest number of successful bloggers (many are making a 6-figure income! You can read their success stories here and it's the course I used to launch this site. Now…on to the post ideas! Great ideas! I love doing blog posts about my area and my whole state. Most people don’t think of Alabama as a tourist area, but there is much to see and do and I love sharing what I know. 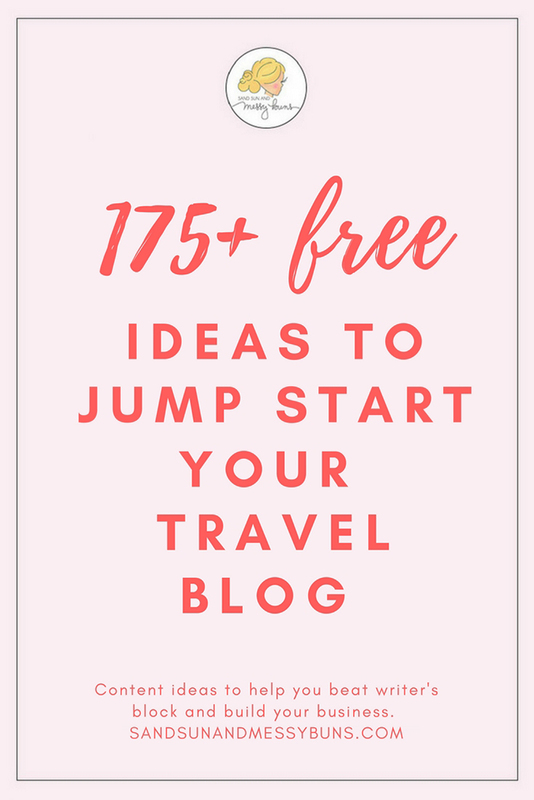 I love all of these ideas, I think travel blogs are the best to read, and I absolutely love your layout! So elegant and fun!